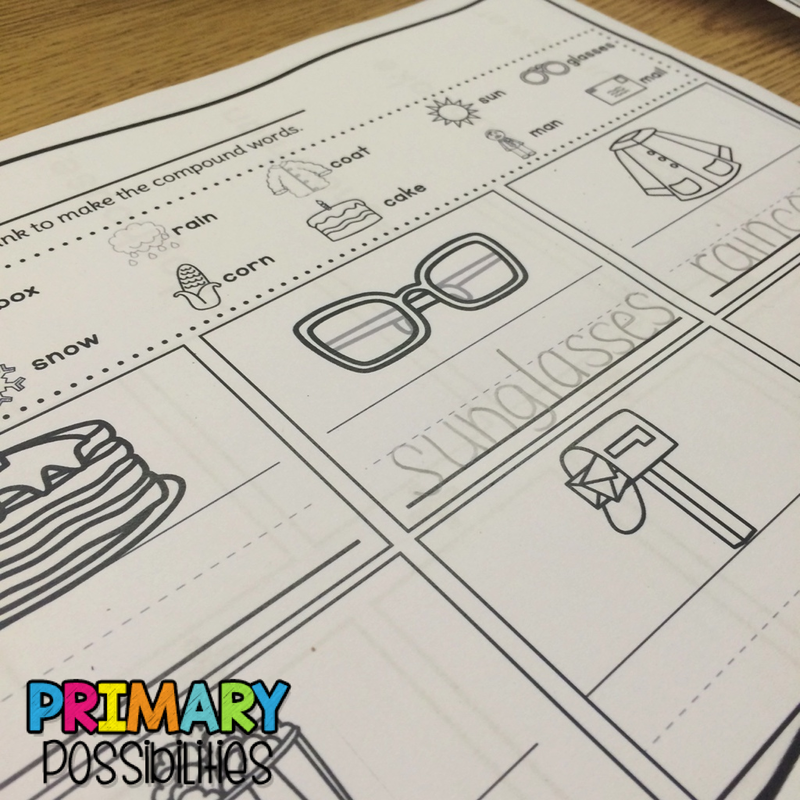 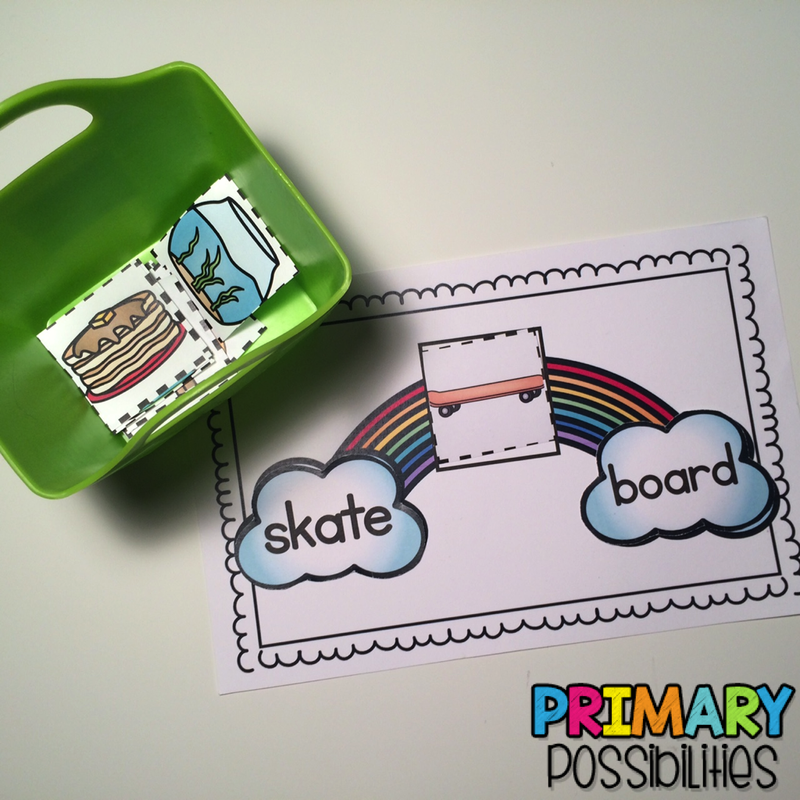 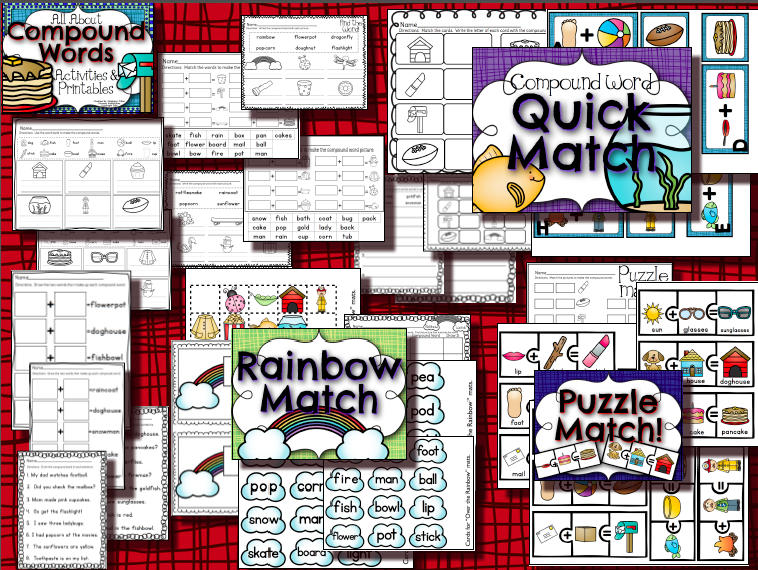 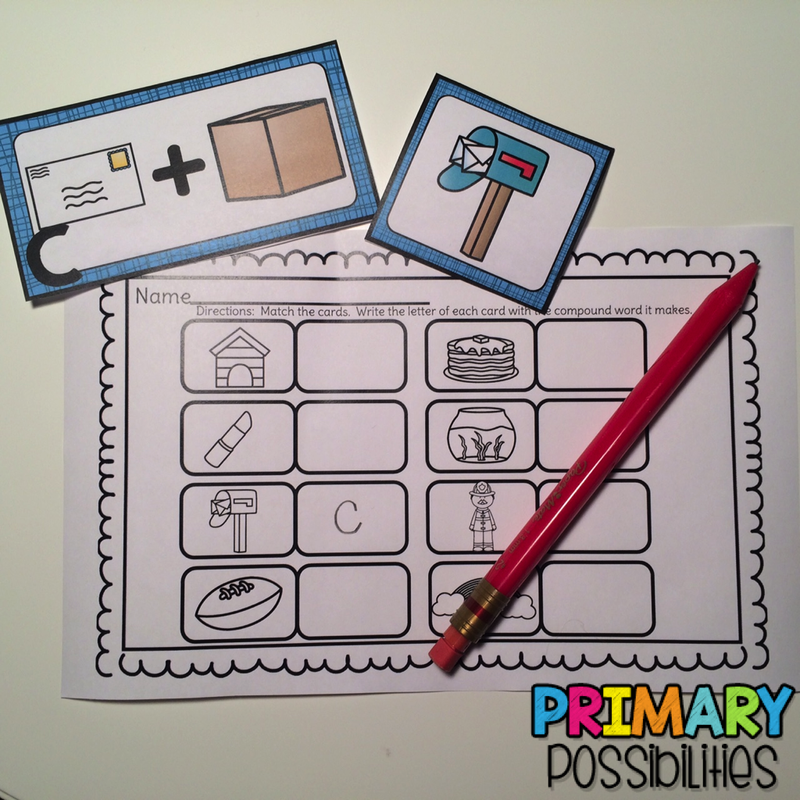 Primary Possibilities: Compound words with a freebie! 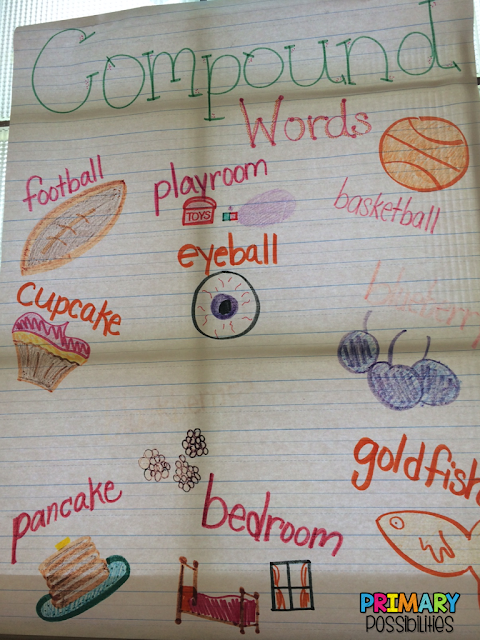 Compound words are pretty fun to teach and kids LOVE them when they realize that most have a meaning (goldfish= a fish that is gold). 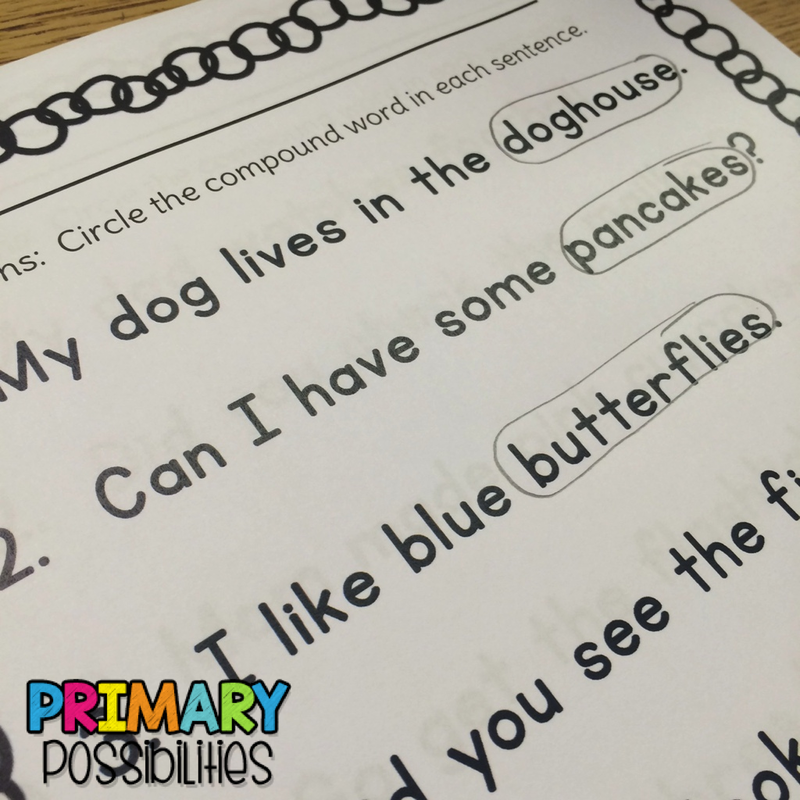 They think they are especially funny when they don't have a meaning... (butterfly= a fly with butter?). Anyway, here are some fun ways to teach compound words in the classroom! 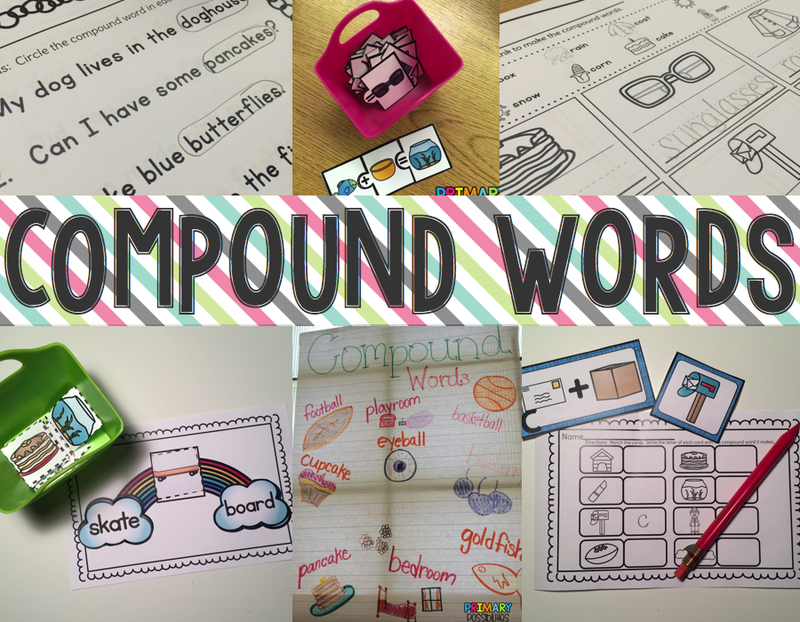 We use a lot of hands on activities to teach compound words... students place each of the word clouds at the end of the rainbow and find the picture that matches the compound word they created. 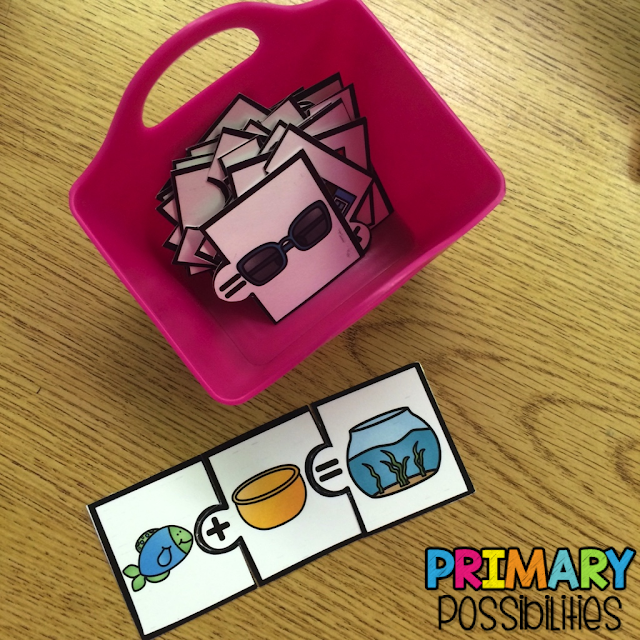 Students put puzzle pieces together to make compound words. 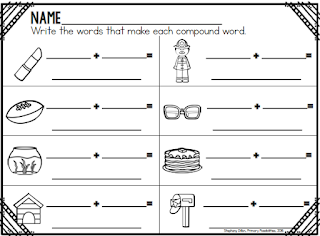 We also played a matching game with the two words that make up the compound word. 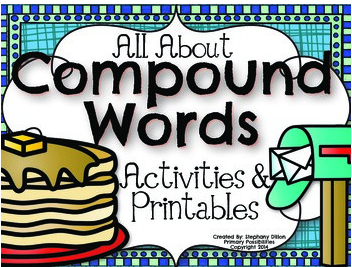 You can grab up all of these activities in my compound word packet! 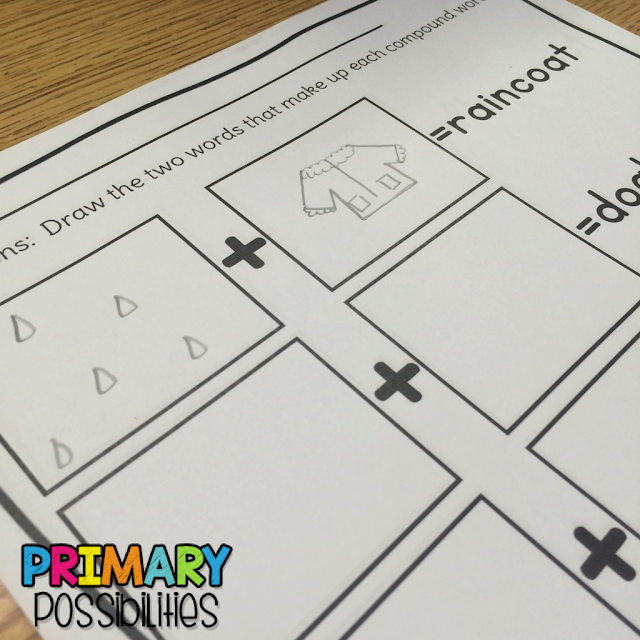 Here is a fun free printable to use while you are teaching compound words! Click the picture below to grab it up!